The reasons why people participate in ballroom dancing are as varied as the people themselves. In some cases, and this is true especially for men, it’s because their wives or significant others insist. They may also be influenced, though this is becoming progressively less so, by programs such as DWTS. They may have friends who are active ballroom dancers and at one time or another have been invited by them to attend a dance. Having done so, they might have gotten hooked, and decided to participate themselves. In most cases, the woman leads the way with the man following. I know of only one case where the husband continued to participate very actively in DanceSport competitions, while the wife dropped out. This is very rare. Insofar as there are a plethora of reasons for why both men and women participate in this activity, there are relatively few reasons for why they stay, especially for those who are active dance sport competitors. The main reason why, is because of the progress they perceive in their abilities. For the majority of amateur dancers, their first instructor is quite often their last, mainly because of the very high level of proficiency and teaching ability that most professional dancers have acquired. The teacher is able to guide the student all way from the first few beginner steps to the point where a student is able to absorb, retain, and perform choreographically sophisticated and visually exciting dance routines in several different dances. The student participates actively in competitions, and is rewarded with progressively better results. The student is very capably guided by the dance instructor and the studio in making his or her choices regarding what routines to dance and what dance competitions in which to participate. 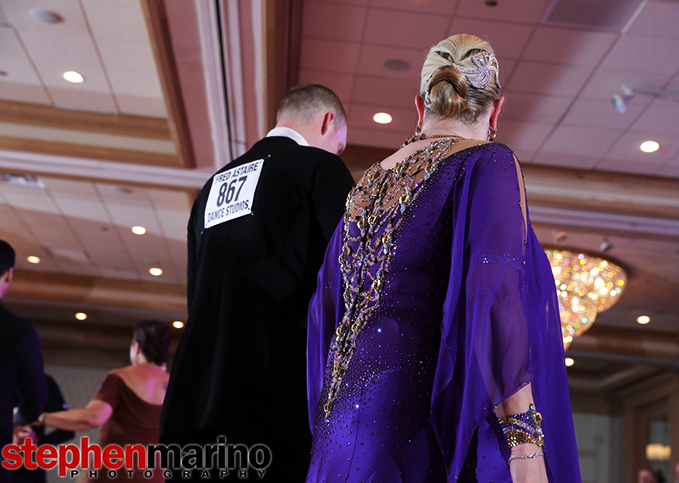 This, for the most part, is the experience of almost ballroom dance students. But every now and then, for some competition-focused students, a different situation develops. The students find themselves in a studio that seems to be less and less capable of meeting their needs. • The studio loses instructors frequently, and those that remain have not yet reached the level of proficiency that the competition-focused dancer needs. This is usually the time when the student dancers begin to feel that they need to leave. However, the environment in the studio is still very inviting, and friendly, and supportive, and the people there are fun to be around. The dancer has made a lot of new friends, and in many cases participates with them in activities outside the studio. This makes the decision to leave very difficult, and the student might feel that if they scaled down their expectations, they could continue to remain with that studio. However, the students, having been exposed to dance sport activities, feel the frustration of staying at the same level of dance. This finally ends in the student dancers realizing that results in competitions are not going to get much better if they remains at the studio, and that they HAVE to leave. There does not appear to be any other option. Leaving their first dance studio maybe easy for some dancers, but very difficult for others. For dancers living in the large metropolitan areas of the country, there may be several choices of dance studios with more proficient teachers. But in other cases, the student dancer may have to travel a considerable distance in order to be able to find the teacher and the studio that are at the caliber the dancer needs. • The dance instructor should be willing to participate in private classes. • The dance instructors should agree with and wholeheartedly support the student’s goals. • The dance instructor should be willing to accompany the student to Pro-Am competitions. • The dance instructor should be willing to devote the time required to assist the student to continuously improve proficiency. • The Dance instructor should demonstrate the knowledge & understanding required to assist the student to perform at a national championship level. • The dance instructor should have specialized in one of two styles, American or International. • The dance instructor should be available at a studio that is within an hour driving distance. 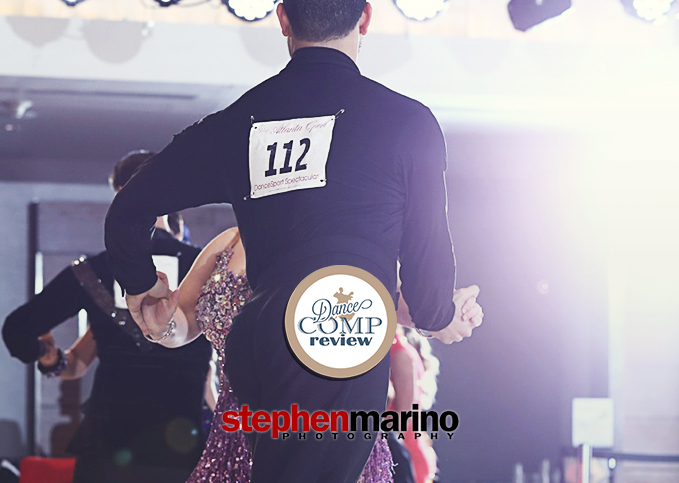 • The dance instructor should be willing to choreograph routines for competitions & showcases. • The dance instructor should have a pleasant personality and be easy to deal with. Additionally, the criteria above is useful for finding the appropriate dance instructor whether the student intends to fully participate in dance sport activities, or is content to remain competent social dancer only. If the guidelines described above are followed, the student is likely to be with an instructor who can guide the student in any direction, social, competition or some combination of both. It is important for the student to realize that the majority of dance studios cannot be run exclusively for competition students. The bread and butter of the dance studio is social dance, and every studio will have a wide variety of programs to bring social dancers in the door and to keep them coming back. There are some studios in the country for which the majority of students are there for competitions, but this is comparatively rare and it is is unlikely that such a studio is within a short driving distance from every student. What this means is that a certain level of flexibility is called for from the student. The dance student must be able to adapt their schedules in order to fully benefit from what the instructor has to offer.